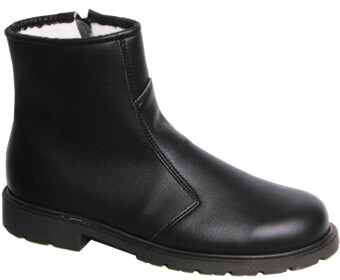 An exclusive design for ethical WARES – a big, high Vegan boot with 7 D rings on each side. 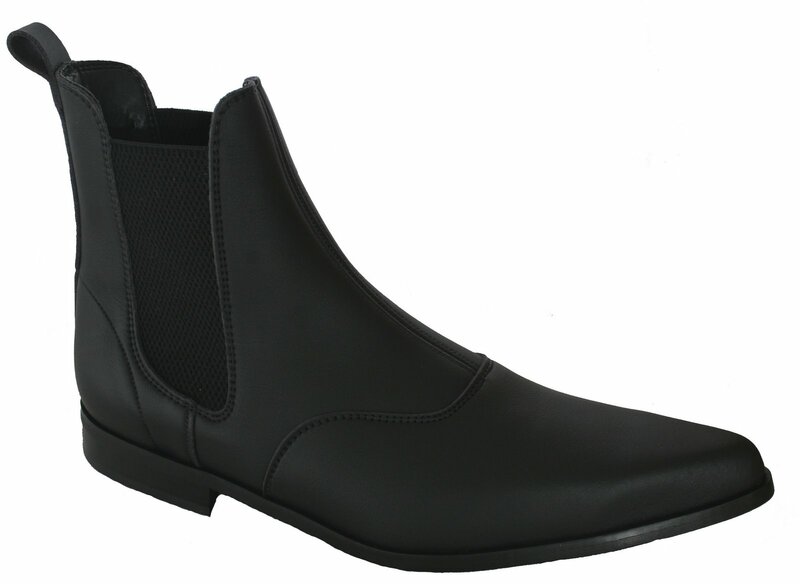 Non-metal toe cap and lovingly made in the UK, suitable for Vegans & Vegetarians & those who want footwear that makes a statement. I just received these boots in the mail, the day of writing this, and already know I love them. They fit and feel great. I personally ordered a size larger than what I have ordered before (the suede creepers fit me well in a 9), and am happy I did so. I am really happy with my purchase, and look forward to wearing these shoes out. 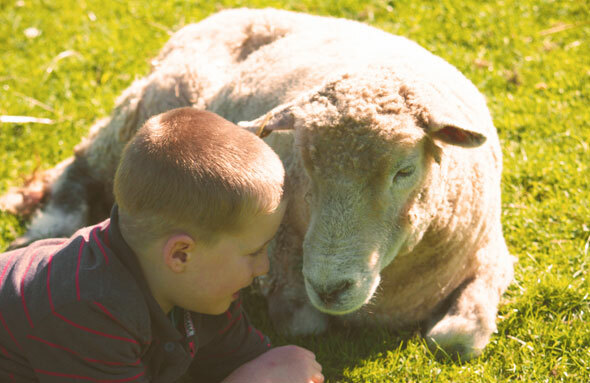 First of all, ethical Wares service is incredible. Every e-mail I sent with questions regarding size, price, payment, shipping and other information was very promptly answered. It is definitely a competent and compassionate team. 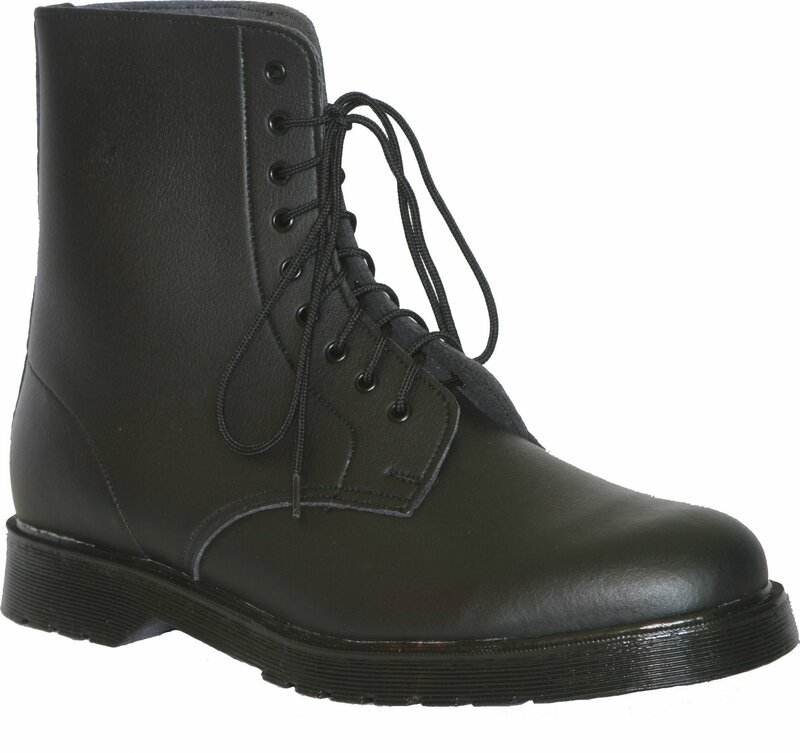 The Liberators are beautiful unisex boots, sitting just above mid-calf and the size you order is the size you get. Mine fit perfectly. 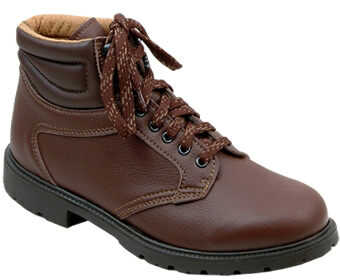 Very sturdy, great quality, comfortable, impresses leather boot wearers and is definitely a looker. 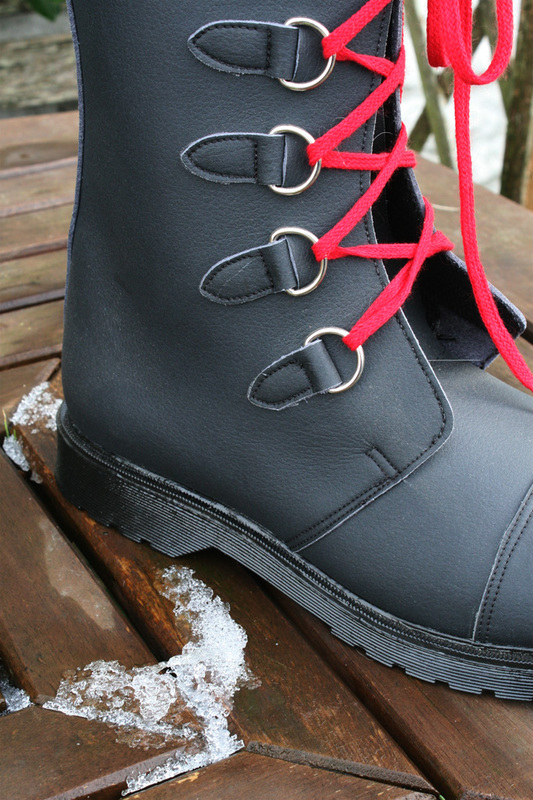 I have yet to see a similar design anywhere, so it really is a one-of-a-kind boot. Right between punk and goth. You really cannot go wrong with them. Put these boots on and feel immediately liberated, also very motivated to march to the next butcher shoppe and kick down the walls *wink wink nudge nudge*. They truly are the incarnation of "Giving Leather The Boot"! 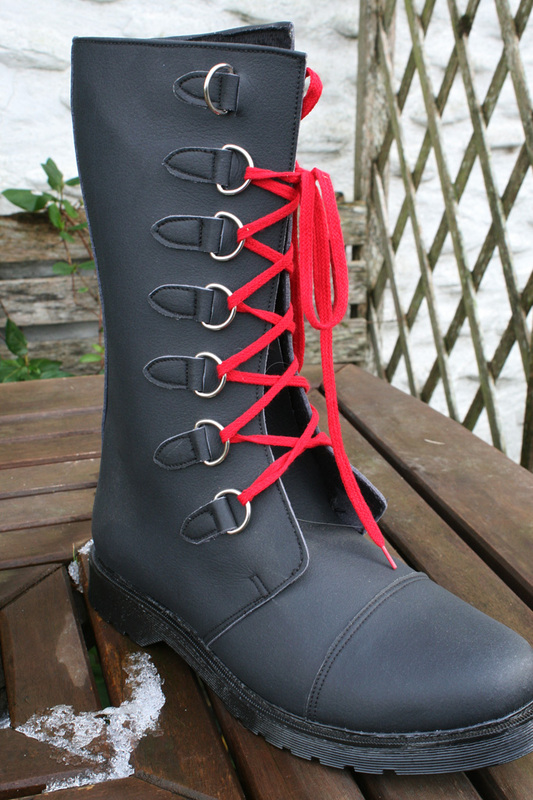 My highest praise to this boot and the ethical Wares team. 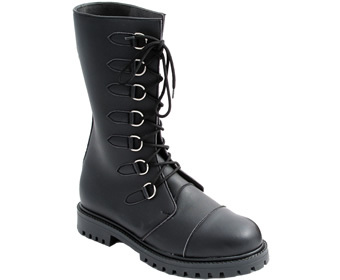 Okay my first comment would be that the sizing on these boots comes up a bit on the large side. I was in two minds whether or not to exchange them for the next size down. However this time of year it’s helpful to be able to have really thick socks on, so I kept them. 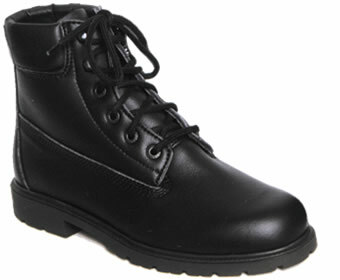 I have lived in these boots since buying them and they are so comfortable to wear. 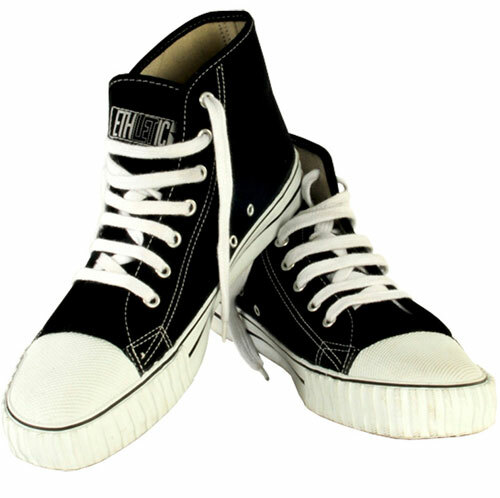 They are well made, great quality and they look great on. I can see these boots lasting me many years. Would highly recommend.